Facebook can be a great place to connect with your customers. After all, there are 2.27 billion active monthly users and your customers are likely among them! This one’s the easiest and most familiar. We’ve all posted. A post is anything that you put on your wall. Photos, blog articles, and basic messages are the most common. Posts will be shown to those who “like” your business page and follow it. Posting is a great way to stay in front of your audience on a regular basis. If you’re looking to boost sales, though, simply posting may not be your best option. For a few years now, Facebook has been limiting the reach of business posts in order to provide their users with more posts from family and friends. So, your post might not reach all of your followers, much less, the general public. We’d call this one a smart step up from posting. 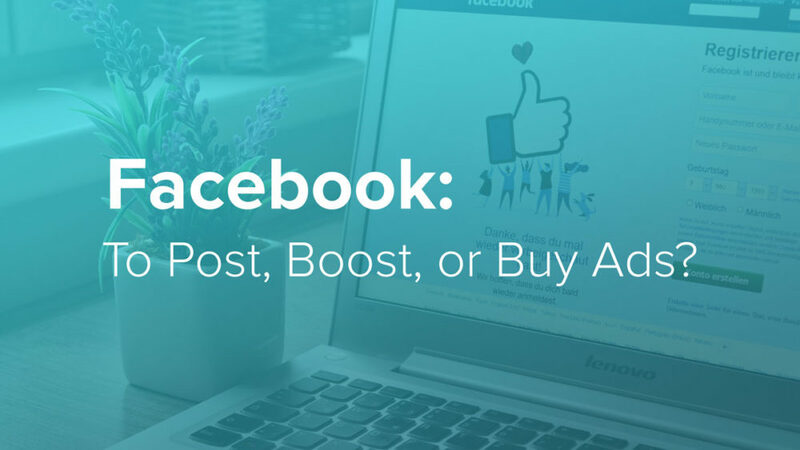 Boosts are posts that you pay to reach a larger audience. They are relatively inexpensive; we usually only spend $25-$50 on our boosts and it’s a great way to reach a few thousand extra people. Your ability to target an audience through boosting is limited, though. We recommend boosting some of your most successful and/or important posts in order to get the most bang for your buck. Ads are the most complex option, but also offer the most return on your efforts. These are the “sponsored” posts that appear in your feed. 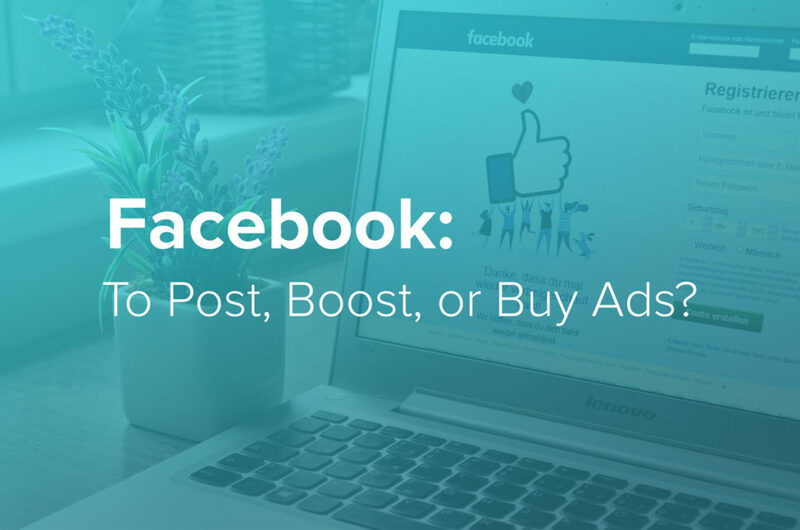 You’ll need to set up a Facebook Ad Manager account, but you’ll have the ability to target your key audience by their location, gender, age, job title, prior purchase behaviors, interests, and more! Your ads will also appear in front of your target audience regardless if they follow your business page or not. This is a great option for general brand messaging and to promote specific actions, including: getting more page likes, promoting visits to your website, and even showcasing and selling your products! Clearly, there’s no “one size fits all” approach to your Facebook presence. Knowledge is power, though, and that will allow you to better align your Facebook activities with your business goals.